It’s the start of a new season, so why not look for areas around the home you can jazz up with a bit of creativity? 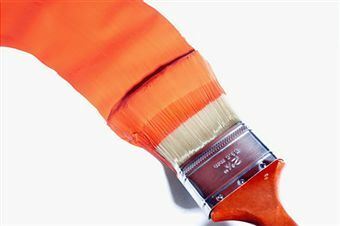 This week our Hubbies are sharing five tips on how to use different techniques and styles to embrace the colour orange in order to create a warm and vibrant atmosphere in the bathroom. 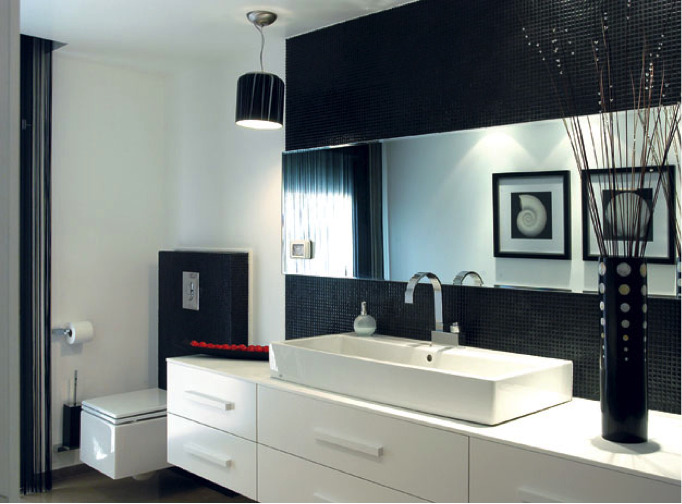 One of the best ways to add colour to a bathroom without overpowering the space is to include a feature wall. 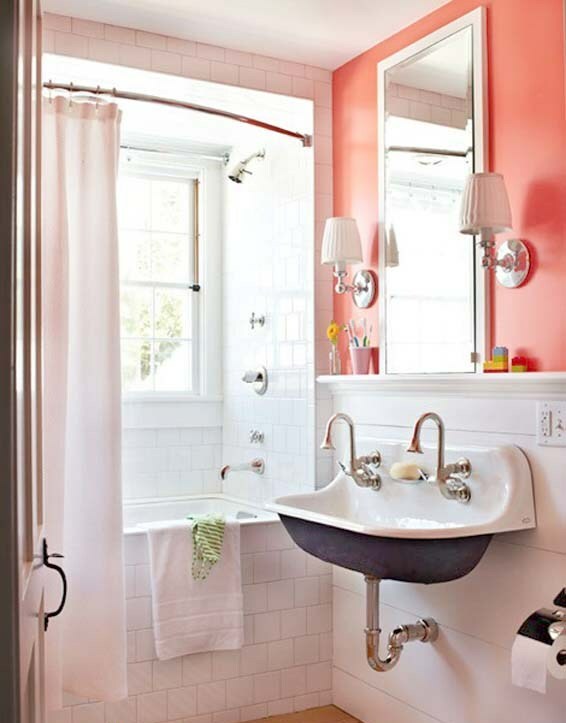 Choose a wall that won’t reflect onto the mirror, as this may leave an unattractive orange glow. 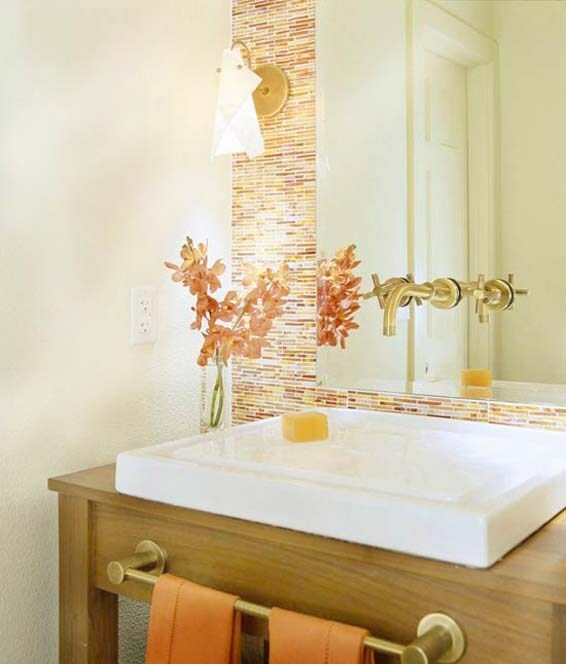 If you are going for tiles in the bathroom, try to incorporate a mosaic wall of different shades of orange to give the shower or feature wall added texture. If you’re feeling adventurous, try to fit orange tiles into the floor. 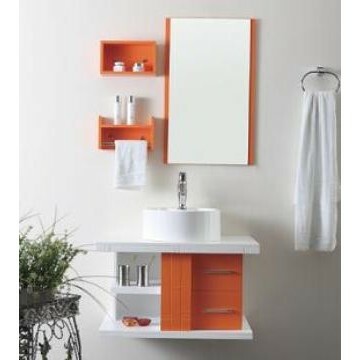 For a contemporary look, integrate orange into your storage space. Whether it’s shelves or cupboards you’re looking to work with, this pop of colour is guaranteed to brighten the room up. Feeling spontaneous? 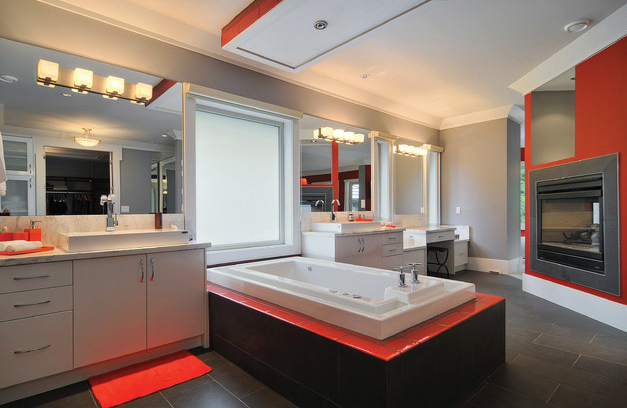 Get yourself an orange bathtub or sink. Pick one that isn’t too bright. 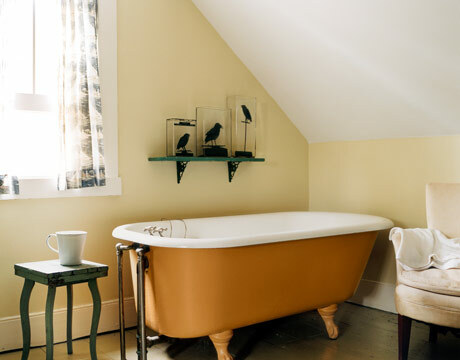 This vintage claw foot bathtub is the perfect shade of orange. 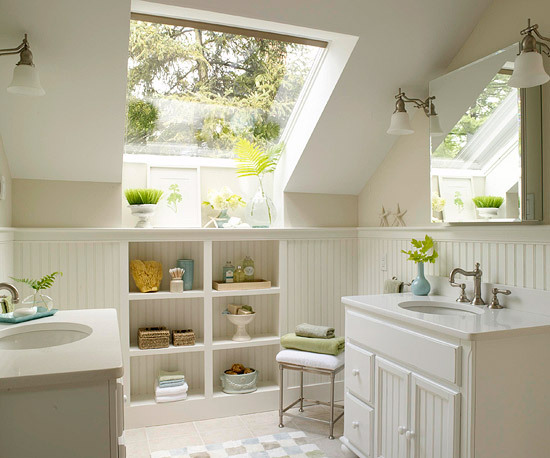 To give the bathroom a fresh look without burning a hole in your pocket, include hints of orange in the trimmings around the windows and along the floor. 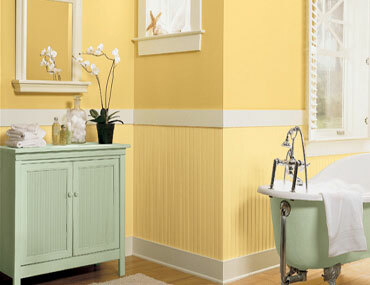 This is a great way to make quick, easy and affordable additions to a plain bathroom. Also, don’t underestimate the power of a few good ornaments such as vases or soap dispensers! We’d love to hear your thoughts on what you’ll be doing this autumn to create a different atmosphere. For more information or for a free quote on a job you’d like to do this month, call your local Hubby on 1800 803 339 or visit the website www.hireahubby.com.au. Realistically, home owners tend to stick to budgets when renovating, and never actually transform their house into the home they dream of. 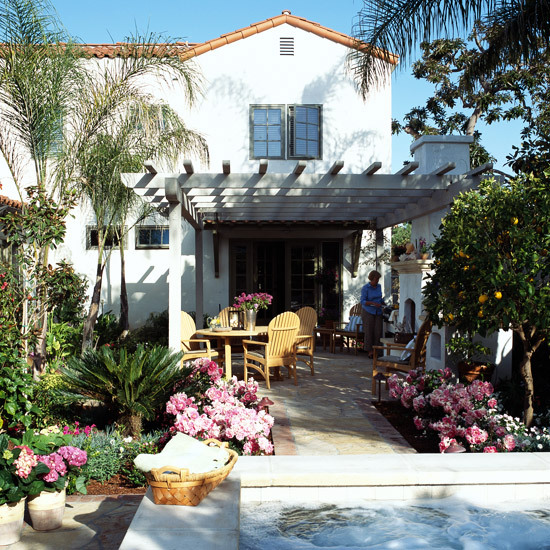 But if money isn’t an issue for you and you’re thinking of renovating to create your dream home, here are some before and after extreme makeovers that have transformed outdated and plain decks, gardens, bathrooms and kitchens into incredible modern spaces. 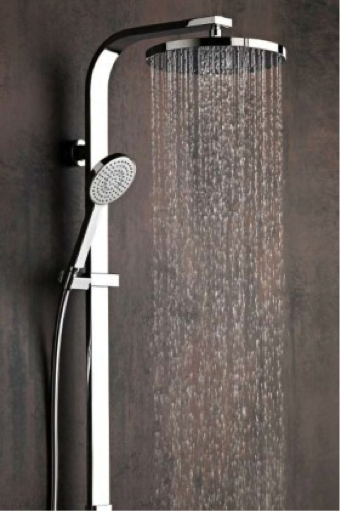 These ideas from our Hubbies might just get your minds thinking as we approach into the summer season or, as we like to say, the renovating season. 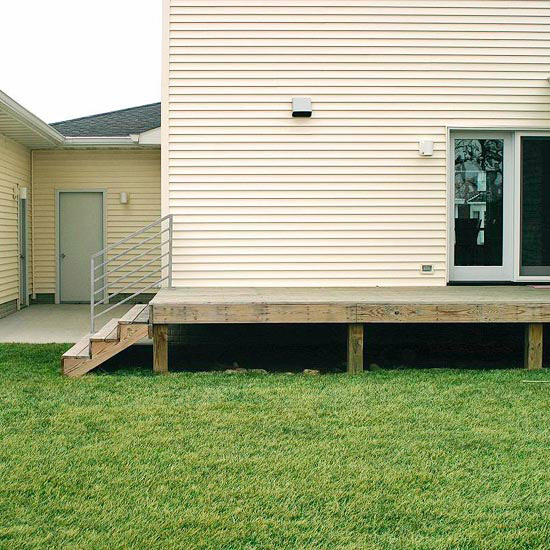 This ordinary deck created usable space, but no style. 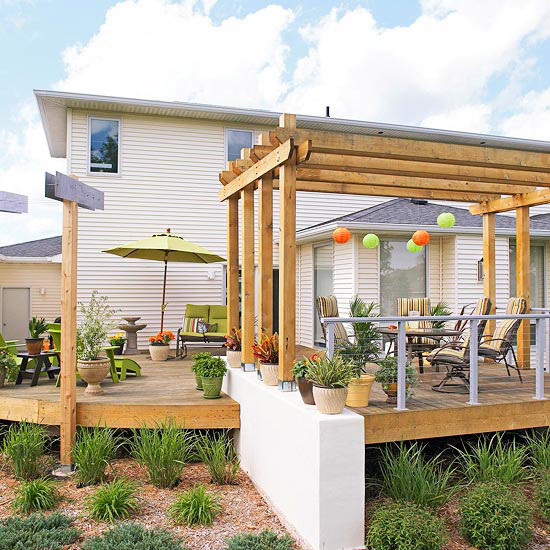 The homeowners added a sweeping perimeter curve and metal accents to create a backyard haven. Talk to your local Hire a Hubby about how you can best utilise the space in your backyard. 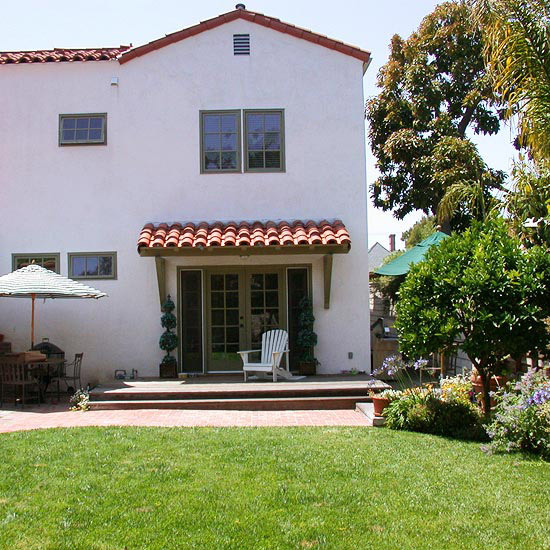 This house had a small patio that baked in the hot afternoon sun and reflected heat right off the white walls. See it transformed into a living and entertainment area with less yard to look after. Not only did it make the back area more usable, but it also added resale value to the home. 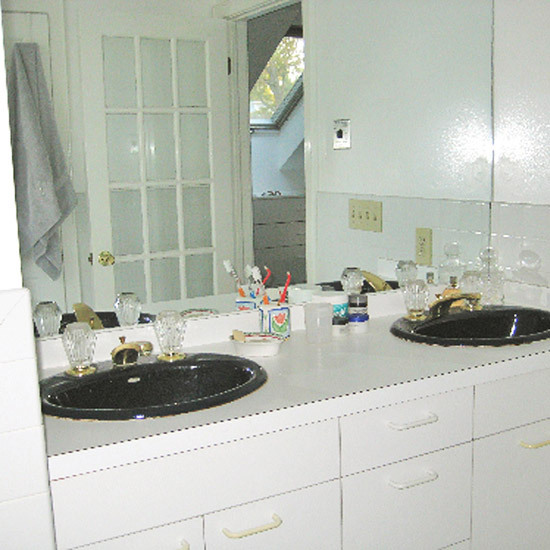 This 1980’s attic bathroom was boring, had cheap cabinetry, an oversized mirror, and navy blue sinks and toilet. A smart remodel including beaded-board panelling, built-in shelves, separate furniture-style vanities, old-fashioned medicine cabinets, and vintage-style faucets and fixtures gave the bathroom a clean, cottage look. 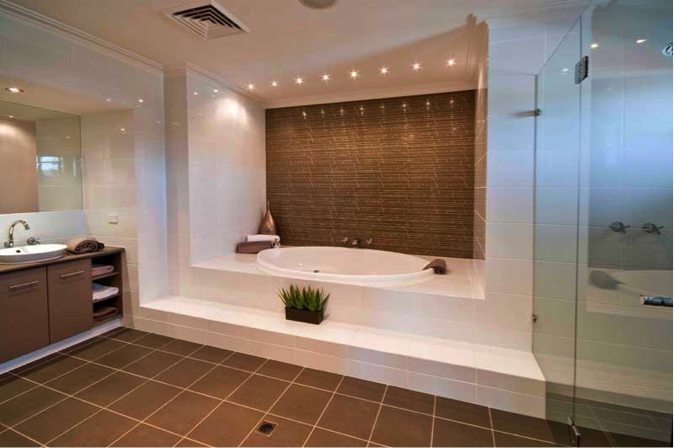 Have a chat with your local Hire a Hubby about turning your bathroom into a haven. 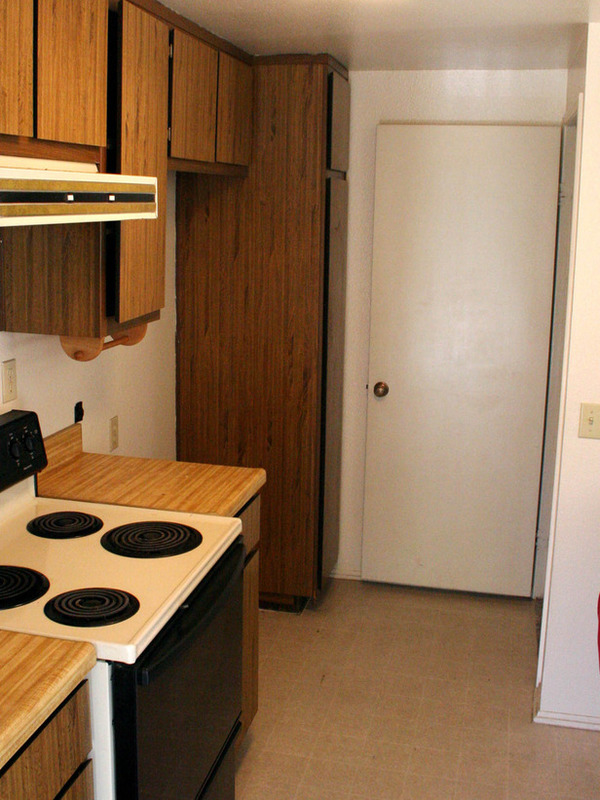 Dreary kitchen getting you down? Take matters into your own hands and give your cooking space a transformation with inspiration from the kitchen makeover below. 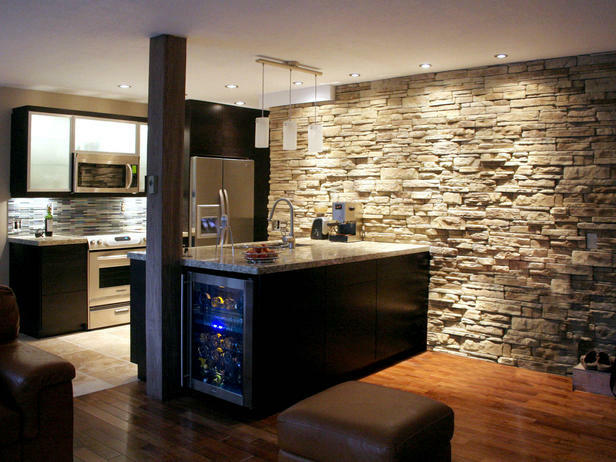 This modern kitchen remodel features black cabinetry, sleek surfaces, hardwood and tiled floors, recessed lighting and a custom stone wall that gives the space a wine cellar feel. Hopefully this has provided you with inspiring ideas to take that next step towards your dream home. For advice or a free quote on any home maintenance or renovation project, call your local Hire a Hubby on 1800 803 339 or visit the website www.hireahubby.com.au.